Visit us at booth #1865 to see a demo of ourMimioFrame touch board kit, MimioSpace ultra-wide collaborative system, andProColor touch table—the latest additions to our line of whole-class and collaborative solutions. We look forward to seeing you at TCEA in San Antonio! 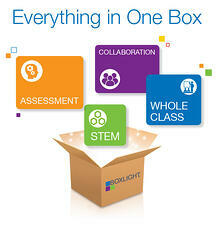 Exciting product previews: Stop by and see sneak peeks of our latest solutions previewing only at TCEA! I look forward to seeing you at TCEA 2019!